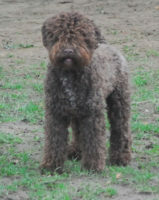 di Sole e Terra – Mark Wouters – Lagotto Romagnolo Wasserhunde Deutschland e.V. We would love to take you on a trip trough our Lagottoworld. 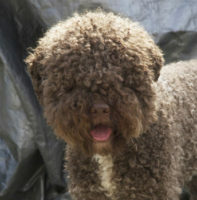 The passion for the Lagotto Romagnolo took possession of us and only increased the last years as it is to see in our family and our home. On the first place we are keeping Lagotti as domestic animals living together with our family. Therefor their character is very important to us in addition to a very sociable education and docility. Our dogs are living together with adults and children.